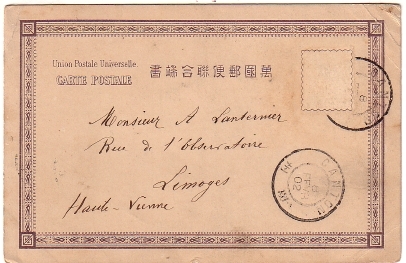 Postcard Particulars: Early Japanese postcard of China. Topic: A woman carrying a baby. 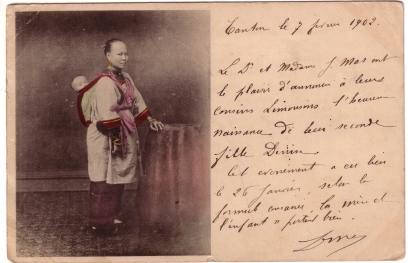 Action: Studio scene of a woman carrying a baby on her back. She is standing near a round table covered with a cloth with cashmere design. Image Particulars: The woman is a Cantonese. This type of table cloth was often found in local studios.